With our world-class collections, the Houston Museum of Natural Science is a popular place to take selfies. Just search #HMNS on Facebook or Instagram and you’ll find a trove of smiling faces in front of dinosaurs or having close encounters with the resident butterflies! Who wouldn’t want a selfie with a Tyrannosaurus rex lurking threateningly over their shoulder? But this Tuesday, we’re asking you to take an #UNselfie for HMNS, and post it to social media — Instagram, Facebook, Twitter or whatever you prefer (and be sure to include #HMNS in your post). Why? To observe #GivingTuesday, a global philanthropic campaign that encourages charitable giving during the holiday season. In contrast to Black Friday and Cyber Monday, #GivingTuesday is all about the unselfish act of giving back to the organizations that make a difference in your life and your community, and taking yourself out of the picture. By making a charitable donation to HMNS today, no matter the amount, you will make an impact here at your museum. Contributions ensure that HMNS continues to provide exceptional programs, exhibitions, and collections to educate and inspire generations to come. This #GivingTuesday, we encourage you to think about the ways in which HMNS impacts your community. 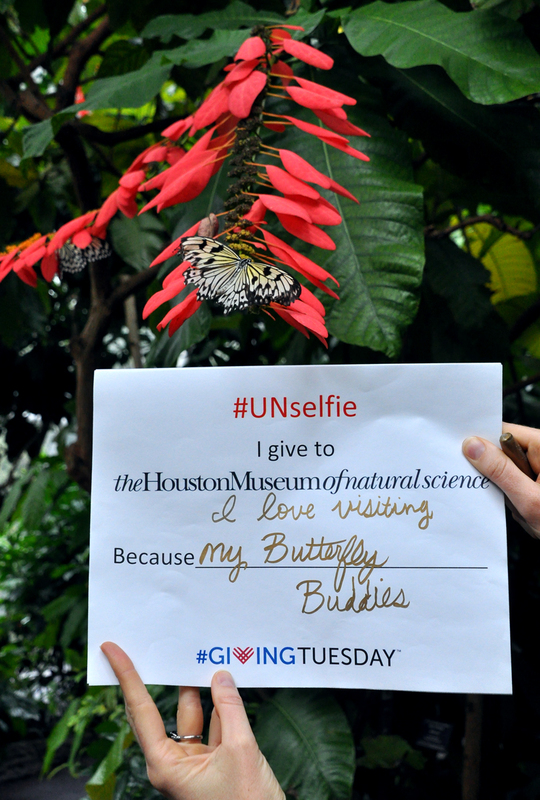 When you donate to the Museum, you’re giving the gift of natural science back to the citizens of Houston and beyond. Donate now! P.S. 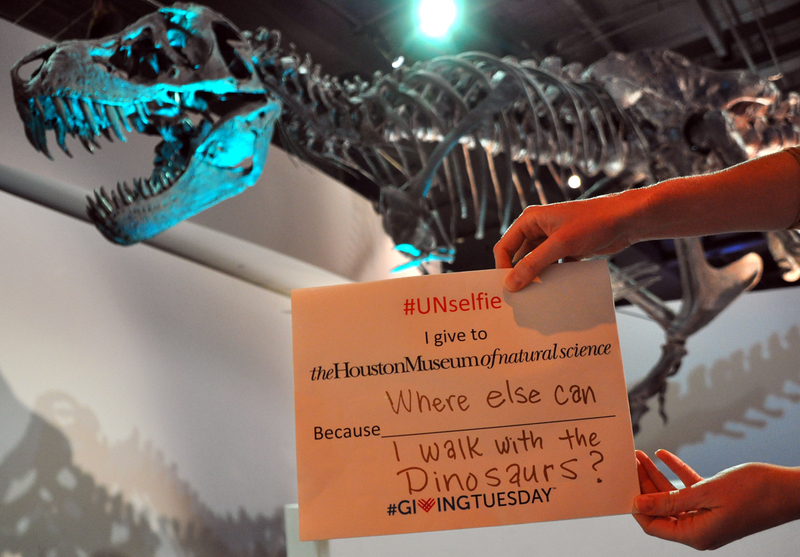 Help to spread the word and encourage others to give by sharing on social media using the hashtags #GivingTuesday and #HMNS! 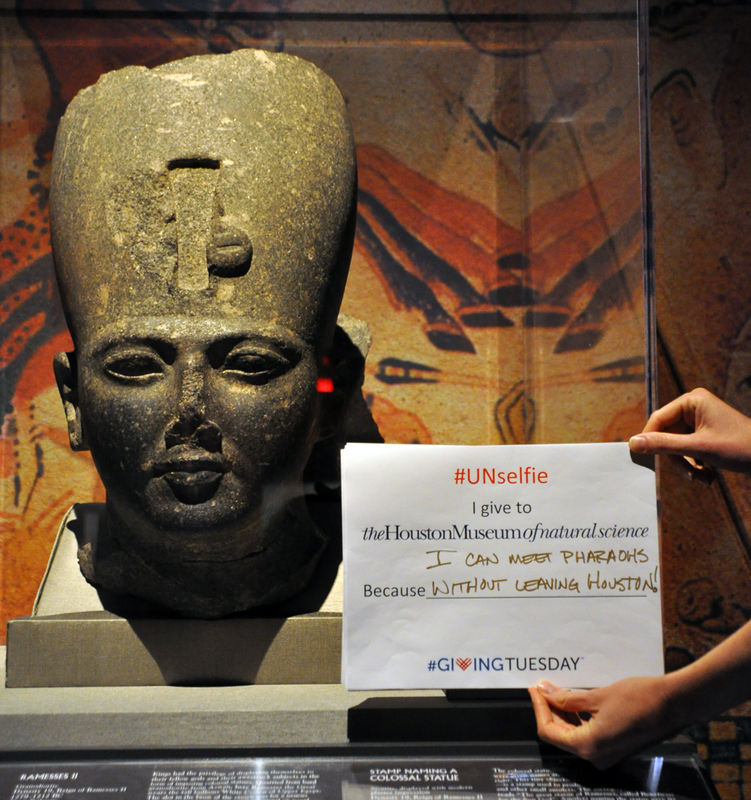 Let us know why you support HMNS by taking your own #UNselfie today! Editor’s Note: Katie is a Development Associate for the Houston Museum of Natural Science.